Square-Enix has pulled the veil off the PAL box art for Final Fantasy XIII, and it's unclear which is weirder: Leading lady Lightning's decision to show off her thigh, or the Final Fantasy and Xbox 360 logos next to each other. As members of our community have pointed out (repeatedly), it's true that the quality of a game's box art has exactly jack diddly to do with the quality of the game. Still, it's always a fun little discussion to talk about how developers and publishers choose to present their game to a less-informed audience. Square-Enix has revealed the European box art to this March's Final Fantasy XIII, and in contrast to the previously mentioned Mass Effect 2 and BioShock 2 box art, it's rather understated. 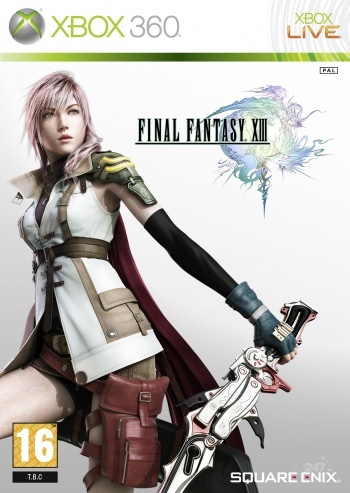 It's simply the game's protagonist Lightning on a featureless white background, showing the skin of her thigh oddly prominently and holding a sword that must have given some poor 3D-modeler an aneurysm. It's understated, yes, but I'm not sure I like it. 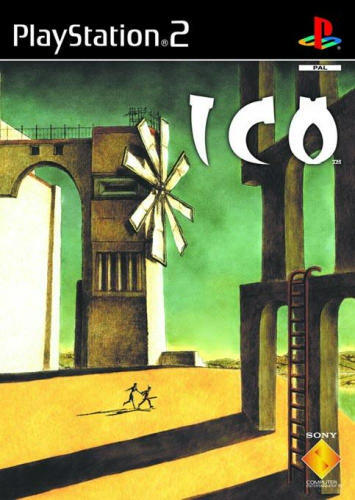 Don't get me wrong, I'm in favor of clean, less crowded and chaotic box art - the Japanese art for ICO is one of my all-time favorites - but this one doesn't grab me at all, and I'm honestly not sure why. Maybe a different background would have helped. Maybe it's just the choice of image: While a bit of (admittedly light) poking around the Internet didn't turn up anything 100% official for either the North American or Japanese box art, I did find a potential placeholder for the Japanese version featuring Lightning atop Sleipnir, the mount of Norse god (and recurring Final Fantasy entity) Odin. I find it significantly more visually appealing, personally. It's also very strange to see art from a Final Fantasy game bordered by the familiar green of the Xbox 360 logo. The PS3 version has the same cover, it's just squashed (and Lightning's thigh is covered by the rating) since, y'know, the case is smaller. Granted, the 360 version will probably need a larger case to hold the fifteen discs that the game will undoubtedly come on. One can't help but wonder if the North American art will continue the simplistic, understated trend, or if they'll have to dig out an action shot of Lightning being a gritty badass.